Have your ASP.NET or .NET Core applications outgrown traditional ASP.NET hosting? Are you tired of managing your VPS or dedicated servers? Looking for a simpler, more affordable alternative to Azure or AWS? Then, you'll love Everleap's cloud hosting solution. And we'll even move your site over at no cost. Applications outgrowing traditional ASP.NET hosting? 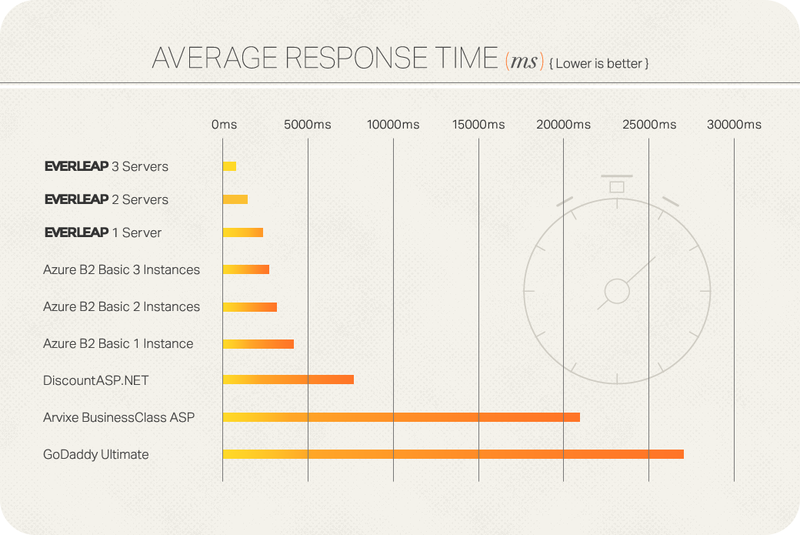 As modern .NET application resource demands grow, so do performance problems on traditional shared ASP.NET hosting platforms. Your applications are evolving, your hosting should evolve too. Pam needed an affordable ASP.NET hosting solution that offered plenty of control and scalability for her data intensive SaaS product: a task management progress tracker. Neil couldn't justify the high cost of Microsoft Azure for his Group Riding ASP.NET site, so he moved to Everleap and got the same performance for a lower price. Everleap is premium modern cloud hosting with predictable prices. Compare our ASP.NET hosting plans and you can try one for free for 30 days. No limitations, no strings attached. Technology has finally caught up to your imagination. It's time to plant your flag. ASP.NET hosting is our specialty, but the Everleap platform is extremely versatile, supporting ASP.NET Core and ASP.NET, as well as node.js, PHP and classic ASP. It's a scalable cloud hosting platform for applications from open source E-commerce to a commercial CMS apps. You can see live demos of popular applications running on Everleap servers at on-everleap.com.